We are open seven days a week: Monday to Thursday 11:00 AM to 2:00 PM and 4:00 PM to 9:00 PM, Friday & Saturday 11:00 AM to 2:00 PM and 4:00 PM to 10:00 PM, and Sunday 4:00 PM to 9:00 PM. Our restaurant is generally very busy during peak times, therefore reservations are recommended for larger groups. All reservation details must be confirmed by telephone. 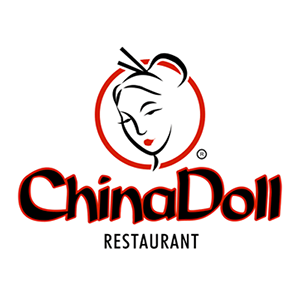 Guests at China Doll Restaurant generally wear casual or casual business attire. (Tank tops or bare feet will not be allowed in the restaurant). Yes, China Doll Restaurant offers its guests adequate free parking. The China Doll Restaurant is wheelchair accessible. Our food is not categorized as kosher. We use pork in some dishes, but also offer many dishes which do not contain pork in any form. The China Doll Restaurant attempts to accommodate the food requirements of as many customers as possible. Does China Doll use MSG in its recipes? Upon request, the China Doll Restaurant will prepare your food order with no MSG added. Has the food served at the China Doll Restaurant been analyzed for allergens like nuts, gluten, corn, etc.? Our food has not been analyzed for allergens. Some of our menu items may contain ingredients like nuts, corn, gluten, etc., or have come in contact with those ingredients. It is therefore recommended that those with severe food allergies indicate this when ordering. As of yet, China Doll’s food has not been analyzed for nutritional content. We hope to provide this information to our customers in the near future. All China Doll Restaurant food is prepared using cholesterol-free canola oil. While many of our items do not contain meat, we use chicken base in many of our dishes. For further information, please speak to the hostess/waitress taking your order. What is the history and philosophy of the restaurant? See the “About Us” section of this website. Gift certificates are available at our restaurant. They are available in $10, $20, and $50 denominations. For a full take-out menu, please see the menus section of this website. You can print the menus directly from the site. Is it possible to order for take-out or delivery online? 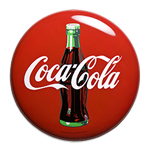 We want to ensure that your pickup or delivery order is executed to your satisfaction. Due to the variety of our menu, and the potential for errors, we ask that you always confirm the details of your order with us by telephone. 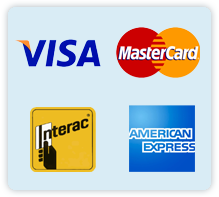 We accept Cash, Visa, MasterCard, AMEX, and Interac Direct Payment. We offer ‘Debit on Delivery’ as another payment option (please indicate this preference when ordering).